South Australian irrigators say politicians are keen to spruik environmental benefits on the Murray River, but no one is talking about the negatives. Wakool Rivers Association chairman John Lolicato says the Murray-Darling Basin Authority has had a pretty simple mantra in its implementation of the Basin Plan: “Just add water”. But, he says, there is a growing body of scientific advice suggesting the extra flows may not be the best way to achieve environmental goals for the system. “For example, a South Australian Department of Environment spokesperson said recent high flows meant many parts of the river system were ‘showing their strongest health since before the drought’ and ‘provided excellent breeding conditions for a range of species such as fish, frogs and waterbirds’,” Mr Lolicato told the Riverine Herald. “[But we] do not get any mention of the flood damage, the fish kills, the river bank slumping and the explosion in carp breeding. “No-one questions there have been environmental benefits from widespread rain across the Basin in spring,” he said. He said the massive flow volumes allowed politicians and the MDBA to celebrate native fish and bird breeding, but conveniently ignore the thousands of dead Murray cod from a hypoxic blackwater event following the flows. 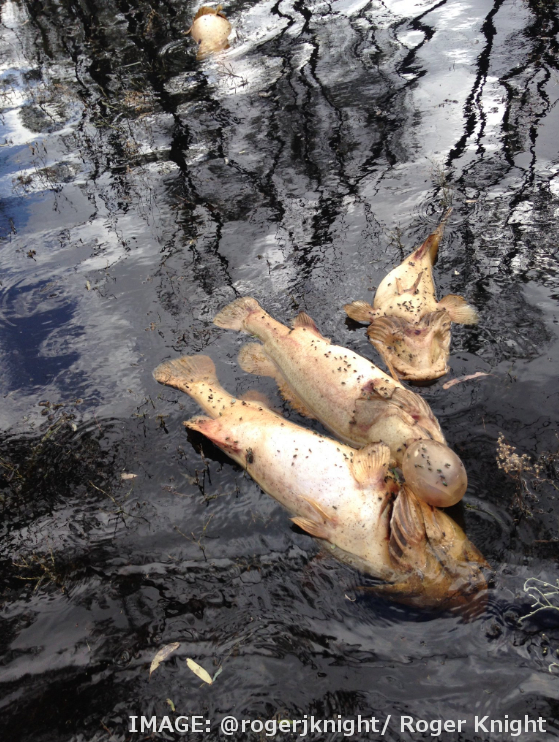 He has also heard no mention of the millions of carp that are breeding, which led National Carp Control Project co-ordinator Matt Barwick to tell ABC reporters; “What we are seeing now is 5-10cm fish [carp] in their millions, and that is a big concern”. Mr Lolicato said the environmental damage required a response. “We cannot stop a breeding explosion during a natural flood, but we can reduce unnatural flows and therefore limit the carp damage,” he said. “If the Murray-Darling Basin Plan is specifically designed to improve the river’s environment, it’s time we looked at solutions other than ‘just add water’. “The only winners if we implement a plan that delivers 3200 gigalitres to South Australia will be South Australia, especially those who enjoy waterfront housing and lower lakes recreation. Mr Lolicato said upstream livelihoods were at risk. “We don’t want more flooding events that ruin crops and livelihoods, but that’s what we will get if the approach to the Basin Plan is not changed... nor do we want to see any more of these hypoxic blackwater events that kill native fish, birds and other animals that drink the deadly water.